Is A Flat Back The New Chicken Legs? I have been in the training game for some time. I am not quite the scary old guy who lifts more than you and hates everyone in the gym, but I have seen some things come and go. Training on Bosu balls, wearing altitude masks and kipping pull ups are all things I have been witness to over the past few years. 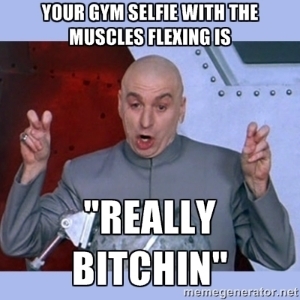 Now we are beginning to see the rise of a new breed of gym goer. They have evolved in the post-chicken leg age (which has become accepted) and have modified their training to minimise any physical development that doesn't fit into the square photo setting of their phone camera. Ladies and gentlemen, I present to you the 'flat backer'. What is a flat backer? A flat backer has a lowered level of back development but is otherwise a well-built individual. While these physiques are well-built to sustain the rigours of shirtless mirror selfies for Instagram (#chestday #again), they are also predisposed to postural and performance limitations, along with confusing people at the beach... depending on which direction they are walking. The flat backer can be usually be found in the gym completing any pressing movement or performing curls, undoubtedly for the girls. Unlike the chicken legger, who avoids training legs completely, the flat backer still includes back training in their routine. However, the training is often the bare minimum and leaves out the heavy compound movements that provide the foundation for a strong back. Here is the typical back (and biceps) training session of a flat backer. 3 sets of mirror selfies supersetted with finding a filter. 1 set of uploading to Instagram. Lat pull down – 4 x 10. The flat backer prefers the lat pull down to the pull up because it allows 'better isolation'. Rear delt raises 5 x 12. 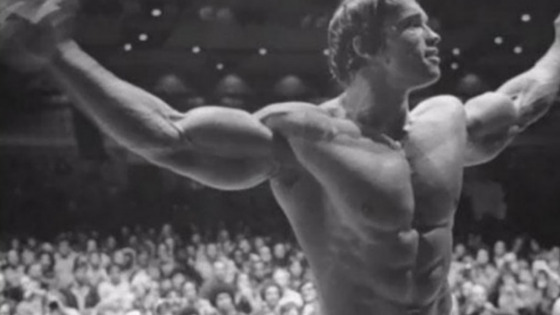 The rear delts can easily be seen from the front with a slight twist. Therefore, they are an important muscle to train. Dumbell curls 4 x 12. Barbell curls 3 x 14. Preacher curls 3 x 20. Seated incline curl 3 x 10. Hammer curls 2 x 20. Delete previously uploaded Instagram picture (didn’t get enough likes). Take new photo and repeat warm up process. As you can see, this training session has very little emphasis on back development. While lat pull downs and rear delt raises are a good start, the complete lack of deadlift, row and pull up variations is cause for concern. If you are new to training, you are in luck. By including a range of back exercises, you can avoid a flat back and develop a well-rounded physique. Learn how to deadlift, include plenty of row variations and keep working on pull ups and their progressions. If you are an experienced lifter, you have a responsibility to the community to help out. Whether you are a flat backer or not, please make sure of the following. Well there's not much I can really add to that, is there? 2. Encourage back training for all. When the chicken leg craze was at it's high point, there were numerous public health messages regarding the topic. The 'friends don't let friends skip leg day' campaign was crucial for raising awareness of the issue. Granted, this was mostly done via internet memes and commenting on pictures, but it's the thought that counts. Lessons learned: creating memes created awareness during the chicken leg epidemic. Integrated Fitness & Nutrition email subscribers will be receiving my top 5 exercises for developing the back (sent on Friday). Obviously they have exceptional back development, but they can use this information to pass on to someone in need (they have terrific judgement). So if you want to receive this I recommend making friends with an email subscriber or fill out the form below and I will send them directly to you. Thank you for helping out the cause! This Friday, we will send more information to help minimise the spread of flat back. Fortunately, the flat back crisis has not reached the stature of the chicken leg epidemic of 2012. If we spread the knowledge know and put protective mechanisms in place, we might just be able to beat this one. Keep training back and please do your best to spread the message. Please continue living (and lifting) your lives. But remember, that if we do nothing, we might live in a world where baby indeed - does not - got back.